Smartphones are an indispensable part of our daily lives. They serve a myriad of purposes and offer tremendous value. They boost our productivity and help us pass time in ways that just a decade ago didn’t even exist. And this is just the beginning – smartphones are getting better all the time, and they are about to become ubiquitous. Smartphone ownership is rapidly increasing globally and it’s expected that 6.1 billion people will be using them by 2020. Without any doubt, smartphones improved our lives in so many ways. As a foreigner living in Japan, I find myself frequently thinking about how I would go about my daily routine without my smartphone. But there’s another side to this picture, things that we don’t think about so often: the negative environmental and social impact of the smartphone phenomenon. Every month hundreds of millions of smartphones are churned out from factories across the developing word. The massive demand for smart devices is fed by a mindbogglingly large industry that employs millions of people. It’s no secret that this workforce is living and working in conditions that would appall some of the people at the other end of the chain, provided customers could be bothered to spare a thought for the human costs of their latest high-tech toys. To be fair, the giants of the mobile industry have made some investments to improve the lives of people in countries struck by hunger, disease and poverty. But these humanitarian ventures could only continue if their global operations are sustainably profitable. We have to face the fact that the majority of these companies are structured according to a typical Christmas tree formation, where people at the very top make intellectual inputs with multi-million dollar earnings, whereas people at the very bottom are manual labourers working mostly in suboptimal conditions for minimal wages. Cutting down manufacturing costs is commonly regarded as an important part of increasing profitability, either through automation or relocating the core manufacturing operations to countries where wages are significantly lower. This situation creates a paradox dating all the way back to Henry Ford. If all operations are automated, how will labourers earn enough wages to buy the products manufactured by the automated businesses? On the other hand, the relocation of manufacturing operations creates a picture where the iPhone, the bestselling single smartphone in the market, is designed in California, but actually assembled in China. This not only brings about a comparable paradox that a typical worker in China needs to save a lot of money in order to buy one of the devices that she or he is assembling. It also makes possible an “out of sight, out of mind” approach when it comes to who exactly is responsible for the condition of factory workers. There is an out of sight, out of mind approach when it comes to who exactly is responsible for the condition of factory workers. Some of these issues were covered by BBC’s Panorama and many other publications. The grueling working and living conditions at Foxcoon – the main supplier of Apple, among others – have been well documented. But make no mistake: it’s not our intention to be more critical of Apple just because we are discussing these issues on an Android site. Nevertheless, Apple makes the largest profits of the industry, year after year. Its amazingly successful business should bring about the highest ethical responsibility. “Fixing” the industry would require rebuilding it from scratch, and that’s an utopian endeavour. But there are some initiatives that could help alleviate the human costs of our smartphone addiction. One possible “solution” could be the establishment of a platform where leading companies around the world could come together and work towards improving the working conditions of all labourers. Besides improving the lives of the people at the bottom of the Christmas tree, such a platform would make the global economy more sustainable and definitely more resilient to financial crises. What about working towards creating a sense of belonging in people who work for OEMs as manual labourers? It’s easy to assume that people who are close to the top harbor this feeling (executive transfers notwithstanding), but in the current structure of the industry that sense of belonging dissolves quickly down the Christmas tree. We can take a few steps back and discuss if another way is also possible for smartphone makers. As well as being a mobile technology enthusiast, I consider myself a car fanatic as well, a so-called a “petrol-head”. As a researcher, it’s unlikely that I will be able to afford buying a high-end/sophisticated sports car. But I still find the creativity behind the titanium-alloy exhaust pipes in the Nissan GTR Nismo or the tuning of the exhaust note of the Lexus LFA by the Yamaha music division fascinating. What would it take for us to think about the working conditions of the people who toiled for our devices? Nowadays, more and more luxury cars hit the market with a special plate having the name and the signature of the person who assembled its key parts. This bit could be personal and subjective, but if I was an owner of such a car, I would think that somewhere around the world such a person with that name exists and I would feel proud of this connection, thinking that maybe someday we would run into each other and I would have an opportunity to show my appreciation. I am sure the workers who poured their energy into building each car appreciate this symbolic gesture. What would happen if we had a similar connection with our smartphones? I am not suggesting an engraving on the back, but what about a “thank you” message after booting? I’m sure that some people would find it annoying. But I still think it would make a stronger sense of belonging in people working the assembly lines. It would also help us think about their working conditions at least for a moment of our daily life. We have to face the fact that, without enough time being invested in thinking about these issues, the solutions are hard to come by. I’m sure other people may have different ideas, but the key point is that little, if anything, is done right now. And thinking, and talking, about a problem is the first step towards finding a solution. Our love for smartphones takes a very real toll on the people who labour to make them. But the impact of the industry goes to the very beginning of the production cycle. Most people in the West still buy their smartphones with two-year contracts, yet they don’t worry too much about what happens to their old phones once they are exchanged with the new one offered with the next contract. Surely, some of these products get refurbished and they eventually reach other customers. And there are growing efforts to recycle valuable metals such as gold from the circuits. But still, that’s not enough to balance out the concerns about the sustainability of the mobile technology businesses, for example in the light of problems related to mining of rare metals used in circuits. The gravity of mining-related issues becomes apparent when we think about “blood minerals” exploited from conflict regions. The two key minerals which fall into this domain are coltan and gold, which are commonly used in electronic circuits and abundant in some of the most troubled regions of Africa. It’s hard to assess how much of the global consumption comes from blood minerals, but relatively easy to understand the temptation to source raw materials from conflict areas. Labour costs are significantly lower in Africa relative to the rest of the world, and supplies can be obtained for even lower costs from the regions controlled by illegal organisations which can cut down prices unfairly (a similar issue is being pointed out quite frequently for Middle Eastern oil coming from the regions under the control of ISIS). Facing these prices, transparent and fair mining businesses cannot compete without governmental subsidies, which eventually come back to us― the consumers― in the form of increasing taxes. 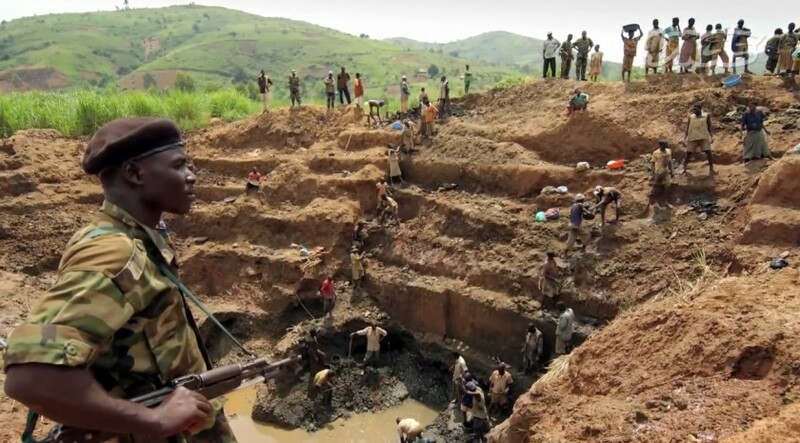 But the real and tragic cost of conflict minerals is supported by the workers that are forced to toil in dangerous, backbreaking conditions, for minimal wages or no money at all. We can easily picture this vicious circle with increasing negative impacts in every iteration. These negative impacts can only be limited by increasing the transparency and accountability of the OEMs’ operations. How much would it affect your purchasing decisions if a mobile product bears an environmental sustainability certification? Please share your thoughts below in the comments section! Here, we can hint to the emergence of novel superconductors such as graphene which will eventually limit our dependence to conflict minerals, as graphene can be produced synthetically from carbon (even at home!). However, future prospects of environmentally-friendly solutions should not be taken as a license to exploit current resources even more savagely. If the damage to the environment is beyond critical thresholds, the recovery could simply be impossible even if we make a complete transition towards environmentally sustainable measures. We have previously argued that we may be gradually getting into an era where the advancements in technology are getting closer to our biological functioning thresholds, for example in terms of discriminating the advancements in image quality or information processing speeds. This means that the mobile technology business will inevitably slow down and profit margins will shrink. That’s a phenomenon that we have already started to observe since 2014. The upgrades from one generation to the other are slowly becoming too small to justify a new purchase. Although this is a challenge for the industry, it should have a positive environmental impact – the amount of “e-waste” being produced annually will go down gradually. This is particularly good news considering that a good deal of e-waste consists of metals and chemicals that are toxic for the air, soil, and water resources . We do not usually think about the effects of our electronic waste, but the environmental impact is indisputable. For example, according to Mission-Blue (a charity dedicated to the preservation of the oceans), the number of dead zones in the ocean increased 500 fold in the past 40 years, mainly due to poisonous chemicals used in various industries making their way into the ocean (see the current map here). Another dark side of this picture shows that e-waste is not distributed evenly around the globe and it is taking a greater toll on developing countries such as India, where shipment and processing costs are much lower than they are in developed economies (an issue quite similar to the reason many products are designed in the US, but made in China). Improving e-waste recycling efficiency is highly important for the sustainability of the smartphone business, and it would be a great achievement for humanity if we could create “near-closed-market” conditions such that all the parts of a new generation smartphone come from the recycled materials of previous generations. From this perspective, using materials such as aluminum is a much better choice in the long run; relative to plastic, recycling aluminum is much easier and economically viable. In an age where climate change is becoming a key issue and consumers are becoming more environmentally conscious, OEMs should adjust to such changes in consumer attitudes and consider ways to promote products by their environmental footprint. I think we can all agree that using materials from sustainable sources and putting more emphasis on the use of recycled materials would be better for the industry and the planet in the long run. We could also briefly go back to the beginning of this section and touch upon how our consumer habits, hand-in-hand with the middle to low tier products being released on the market by emerging companies, could be fueling the magnitude of the e-waste being produced. This time we need to face the fact that the Android ecosystem is producing much more clutter than the iOS ecosystem. There are simply too many devices competing in the market and sometimes too little to separate them. Sometimes buying a low/middle tier phone could be the only option due to budget restrictions, but these products are also less resistant to “planned obsolescence” and their life cycle will eventually be shorter. Here, it is kind of interesting that, apart from Motorola, personalisation options remain hugely under-explored, and they don’t even exist when it comes to configuring specifications. What if we could configure the specs in our mobile phones, just like we can customise laptops when we buy them online? This would give consumers more power to shape up products based on their budget and needs. If someone thinks having a high-end processor is more important than a QHD display, they can prioritise that as they like. Whereas others who want all the highest specs could configure their devices accordingly and bear the price tag. Business strategies in this direction will surely improve the longevity of our devices, lower the number of devices which clutter the market, and help reduce e-waste in the long run. Plus, phone makers could learn a lot from consumer preferences by analysing which specs combinations sell the best. Of course, in-depth customization also poses huge challenges, profitability being first and foremost. It is difficult to say that the cost of mobile technology outweigh the benefits it brings to our lives, and even more difficult to say that it’s killing the planet. However, there are so many directions which still remain unexplored that could make the mobile industry more efficient, more humane, more environmentally friendly and more sustainable. By no means have the issues that we touched upon in this article exhausted the list of domains that can be improved. But perhaps these are just enough to cover the tip of the iceberg. One thing is clear: as mobile devices become ever more important for our lives, we should collectively put more thought into the side effects of our addiction.